Have you always dreamed of riding a Harley motorcycle through the mountains of Colorado ? Well now is your chance, enjoy the adventure of the open road with Maverick Motorcycle Adventures. Tour Colorado on a rented motorcycle and experience the wide open spaces with the wind in your face. This is a thrill that you just can't miss! 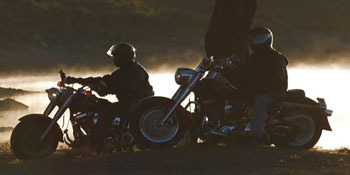 Sorry no Rentals & Motorcycle Rentals items in East Vail, CO but Click Here for more items nearby.